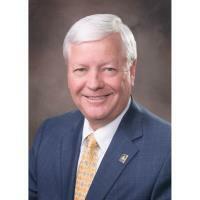 LUBBOCK, Texas – Lubbock Chamber of Commerce President/CEO Eddie McBride was selected by the U.S. Chamber of Commerce to join the Chamber of Commerce Committee of 100 (CCC100). Key responsibilities of this elite group of executives is to attend two exclusive meetings each year on leadership, policy, and best practices. CCC100 will help identify emerging issues that will impact chambers and their members, and help to advise the U.S. Chamber on programs and services for local and regional chambers while providing feedback on policy-related issues. To learn more about the mission and programs of the U.S. Chamber of Commerce visit www.USChamber.com.